The Department of Biological Sciences Graduate Program offers the graduate degrees of Master of Arts (M.A.) and Master of Science (M.S.) and, in conjunction with the Department of Curriculum and Instruction in the School of Education, provides courses that support the Master of Science in Education degree in secondary education with a teaching field in biology. 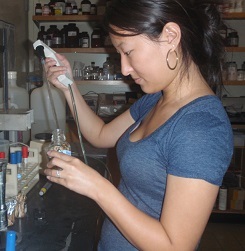 Graduate students in biological sciences may concentrate in one of several areas such as evolution, ecology and environment, conservation biology, anatomy, physiology, genetics, cellular and molecular biology, and genetic engineering. Students interested in taxonomic studies can benefit from faculty affiliations with the Missouri Botanical Gardens in nearby St. Louis. Numerous career and advanced training opportunities are available to persons holding a master's degree in biology. These include doctoral training in biology and in the health sciences, secondary and junior college teaching, environmental assessment, and employment in educational, industrial, and governmental laboratories and agencies. Graduate degrees expand opportunities and salary ranges. Biology graduates are in high demand, with particularly strong career growth in fields of genetics, forensic research and environmental biology.